Hello crafty friends, welcome to the Pinkfresh Studio January Release Blog Hop! If you arrived here from Yasmin Diaz’s blog you are on the right track! My cards today, I’m featuring my most favourites, Embroidered Blossoms & Adore Alpha, among entire January release products. I made my own floral background with the Embroidered Blossoms Stamp Set – randomly stamped flowers & leaves using dye inks. I then die cut the word “THANKS” from thick white card stock using the Adore Alpha Die Set, also die cut a cute leaf using the Dainty Blossoms Die Set. I mounted the floral panel on white card base using double-sided tape first, and then added all elements as shown in the picture using foam tape. These flowers are so super pretty! I love the new set so much!! Here is another floral card with the Embroidered Blossoms Stamp Set. I made a wedding card with it. I stamped a bouquet on white paper panel using dye inks first, die cut “W” from the stamped panel using the Adore Alpha Die Set, and then adhered the alpha “W” in place using fine tip glue pen. For my last card, I made a floral birthday card with the Embroidered Blossoms Stamp & Die Set. I die cut a number of flowers & leaves from masking paper using the Embroidred Blossom Die Set. I then adhered the mask die cuts on white paper panel in place. I inked up the panel with Pumice Stone Distress Ink. I then carefully removed the masks. I stamped a coordinating floral image with dye inks in each space on the panel. For the sentiment, I used the Scripted Bold Sentiments 2 Stamp Set. Pinkfresh Studio will be giving away the ENTIRE JANUARY RELEASE on the Pinkfresh blog, and on the IG feed! Also, each one of the designers is giving away a $25 gift card to the Pinkfresh Studio store – the winners will be picked from the comments. 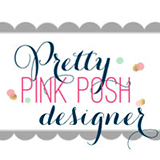 All winners will be announced on the Pinkfresh Studio GIVEAWAY PAGE on Sunday, January 20th. Please check that page & claim your prize within 2 weeks. A FREE Dainty Love Balloon Die with purchase of $25+. There is no code necessary, and the die will automatically load into their cart once they hit the $25 threshold. We will also be offering free/discounted shipping from January 14th-17th on orders $50+. They must use the code JANFREESHIPWITH50. Shipping is free in the USA, and $5.50 off for our International friends. I’m super excited to be a part of the Simon Says Stamp You Are Loved Blog Hop! 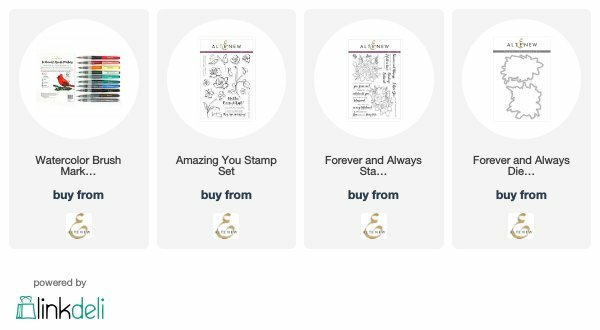 You Are Loved Release has full of love-themed stamps, dies, and many more! To create the card, I die cut a 4.25″ x 5.5″ rectangle panel from watercolour paper using the Basic Rectangle Die, then slightly trimmed the sides. For a green coloured floral background, I used the Bold Flowers Stamp Set. I stamped flowers & leaves with Evergreen, Willow, and Smoke Gray Dye Inks, then inked up the stamped panel with Crushed Olive, Antique Linen Distress Inks. I added ink splatters here and there. I stamped the sentiment from the So Loved Set on white card stock using VersaFine Onyx Black, then trimmed it with Stitched Circle Die. I also die cut the Outline Clustered Leaves from white card stock. Once the background panel was dry, I mounted it on Midnight Green card base using double-sided tape first, and then added all elements as shown in the picture using foam tape. The Outline Clustered Leaves Die is definitely my most favourite among entire “You Are Loved” release products. For my second card, I’m featuring So Loved Stamp Set – it’s SO PRETTY!!! I randomly stamped flowers & leaves on a 4.25″ x 5.5″ watercolour panel using Memento Tuxedo Black Dye Ink, then coloured them with Altenew Artist Markers. Simon Says Stamp is giving away a $25 gift certificate to every stop on the hop from your blog comment section. The winners will be chosen over the weekend and post on Simon Says Stamp blog on Wednesday, the 16th of January. ONE MORE! We have a special promotion for you! Get a free Tim Holtz Festive Berries Distress Oxide Ink Pad (while supplies last!) 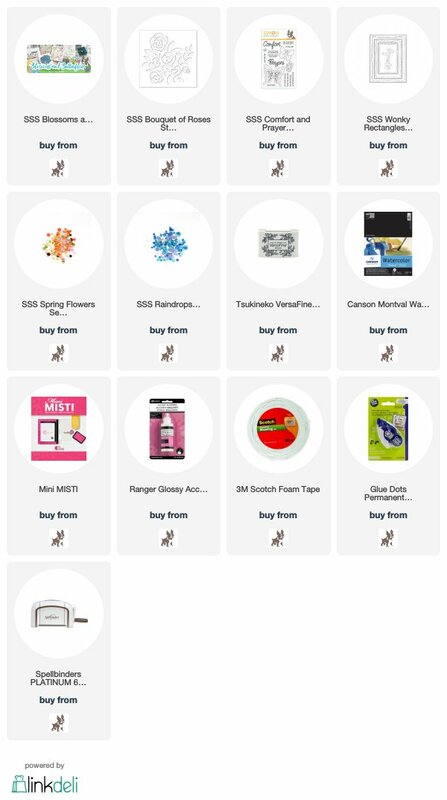 with the code LVE584 at checkout when you purchase any products at Simon Says Stamp Store. Also, check these beautiful Suzy’s Sending Love Watercolor Prints out!! Thank you so much for stopping by. Have a great weekend!! Welcome to the Altenew Winter Wonderland Watercolor Brush Markers Release Blog Hop. If you arrived here from Zinia Redo’s blog you are on the right track! Create stunning works of art with the Altenew Watercolor Brush Markers! The barrel is filled with water-based color, and coordinates with our line of inks. The flexible, yet sturdy bristles on the brush tip allow you to form both broad and fine strokes. Color can be applied straight from the marker, or diluted with water for a softer look. For today’s cards, I especially used the Ruby Red, Citrus Burst, Lagoon, and Espresso. I watercoloured the stamped image using brush marker first, and then mixed up with water using water brush. Once the watercoloured image was dry, I coloured all edges of each stamped image using brush marker again (as shown in the picture). Here is another watercoloured red rose card with the Winter Wonderland Watercolor Brush Markers. I stamped a flower cluster from the Forever and Always set on watercolour paper using black pigment ink, watercoloured it, and then die cut it with the Forever and Always die. I’m also giving away a $20 gift certificate to one lucky winner! Please leave a comment on this blog post by Wednesday, January 15th for a chance to win. I’ll announce the winner in this post on 1/16/2019.